Arts Umbrella is thrilled to announce a new needs-based scholarship program aimed at students applying for post-secondary education with a focus on the arts and creative sector. Creative Launchpad is generously funded by Vancouver-based philanthropists Jeff Mooney and Suzanne Bolton, who want to provide British Columbia youth with a stepping stone to reach their academic and career goals. In 2018, Mooney and Bolton approached Arts Umbrella with a new idea: to provide meaningful scholarships for young people who would otherwise not have the opportunity to pursue post-secondary education in the creative sector. In addition to this new scholarship program, Mooney and Bolton have supported Arts Umbrella with annual contributions to its Surrey community outreach programs. Through Creative Launchpad, Arts Umbrella will distribute $75,000 on an annual basis. Scholarships will be presented to students who are applying to university and college programs such as visual and media art, theatre, dance, arts administration, graphic design, photography, curatorial studies, music production, game design, fashion, hair and makeup, among others. The program will also provide bursaries for existing Arts Umbrella teen programs to better prepare young people for post-secondary studies in the arts. In British Columbia the creative economy is booming and its continued success relies on having a pool of talented and creative people to hire. 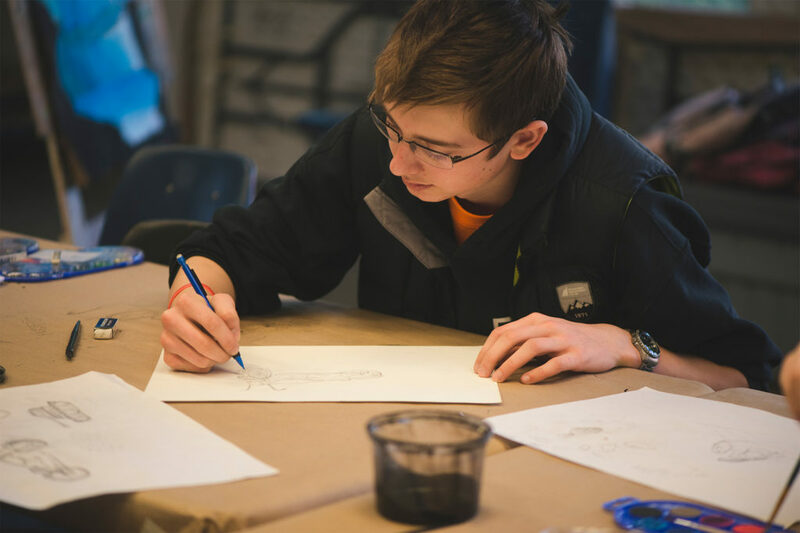 As the original incubator for the growing creative economy, Arts Umbrella bases its classes on arts-education principles designed to maximize the creative potential of every young person they reach. Since 1979, the organization has helped more than half a million young people discover their inspiration and unlock their creativity. In 2020, Arts Umbrella will move into its new home on Granville Island, a renovated 50,000-net-square-foot space purpose-designed for arts education. Post-secondary Arts Umbrella program offerings such as the VCC Dance Diploma and Actor’s Conservatory will enjoy increased studio space and access to a 145-seat professional theatre, giving students more tools to succeed in their chosen fields. Arts Umbrella believes that art is powerful, that it can change a child’s life. That’s why Arts Umbrella’s programs in Dance, Theatre, and Visual Arts are made accessible to all young people—through bursaries, scholarships, and donor-funded community programs. Since 1979, Arts Umbrella has been active in our communities, inspiring kids to build their creative confidence and develop the building blocks for life: critical-thinking skills, improved self-esteem, and tools for collaboration.